My friend Nicole has three kids under 7. The last of the three is about to have her tonsils removed. Her oldest just started second grade. Oh, and she has two businesses that she runs from home, her blog and a freelance writing gig. Oh, and we do a podcast together. Did I mention that she has dogs, too? So Nicole is not exactly what you would call “swimming” in extra free time. But she is doing her best (and frankly, I think she’s killing it). Like lots of young parents, she has trouble fitting in self-care (sound familiar?). We agree about a lot of things but one sticking point: I think she NEEDS to practice mindfulness NOW. 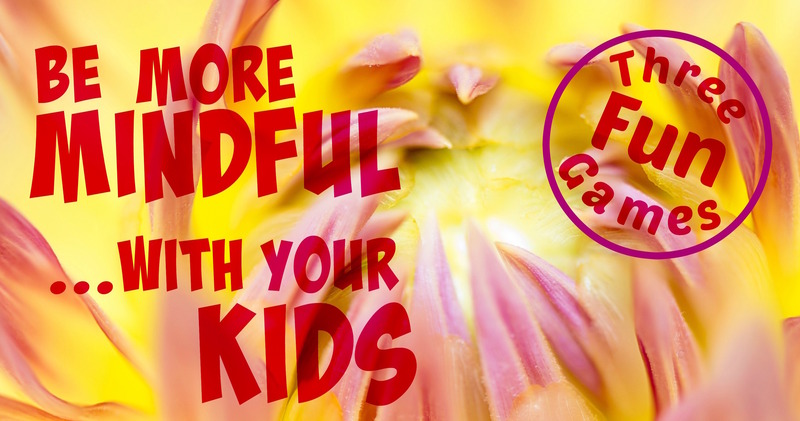 Nicole already stated on our podcast that she would rather just wait to “do the mindfulness thing” until after her kids grow up. 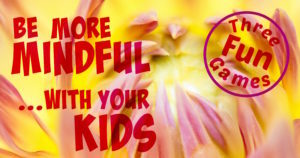 Nicole, what if I gave you three mindfulness games that you can play with your kids? That way you don’t have to find more time and you can learn along with your kids… PLUS you can check off that box that says, “I AM a Good Mom”! I’ll even send out the games in weekly emails to give you the easy step-by-step version that you can play in the car, around the dinner table, or even at bedtime. If you want to take the challenge along with Nicole, I will be happy to send you the same set of three emails describing the games you can teach your kids (and learn along the way). P.S. I am confident that you’ll enjoy these games and want to learn more. As a BONUS, I will share a discount offer with you for an online DIY course (with 10 video lessons taking less than 30 minutes in total) that guides you to build habits — in less than five minutes per day — that will make you happier and feel more powerful.